The Houndstooth is 2018’s hottest new kitchen tool innovation! 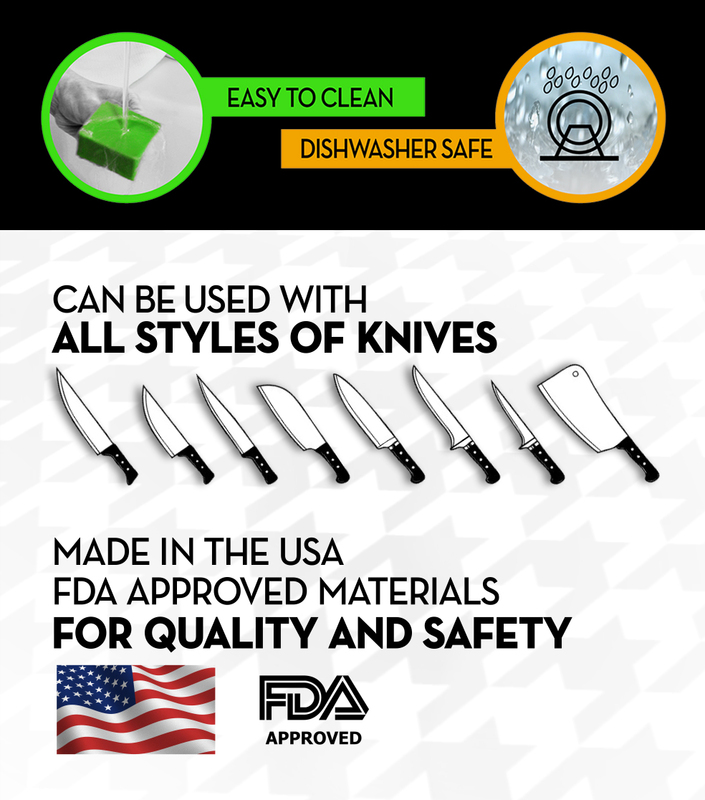 Improving both your food preparation speed and skills, The Houndstooth™ was designed to allow anyone– from home cooks to professional chefs–to easily, quickly & safely slice vegetables, fruits, meats and other food items. 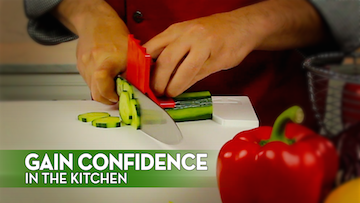 This revolutionary and patented kitchen tool is taking kitchens around the world by storm! We believe that The Houndstooth™ will soon be as common as the potato peeler and that no kitchen will be without one! Why choose The Houndstooth tool? The gripping teeth help hold your food in place, while The Houndstooth tool allows you to protect your fingers as you prep. The Houndstooth's patented Finger Cradle System™ was designed to teach you proper chef technique when gripping your food to cut & prep. 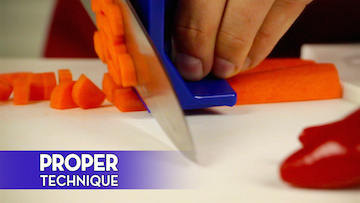 The straight edge and gripping teeth will help you make more uniform & precise cuts to ensure beautiful presentation and, more importantly, even cooking. 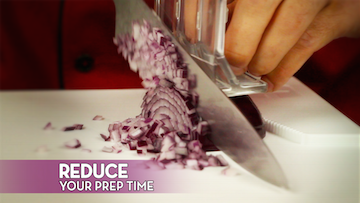 Whether you're a beginner or seasoned pro, reducing prep time is a must! 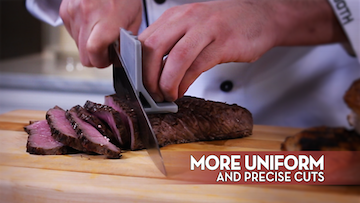 Slice, cut & prep quickly and safely with a system that helps you make faster, more even cuts. 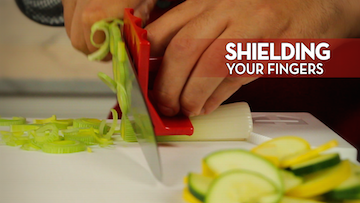 No more having to worry about slippery vegetables or holding hot meat with a fork–gain confidence in your slicing, chopping & prepping skills. The Houndstooth's versatility in the kitchen is limitless! 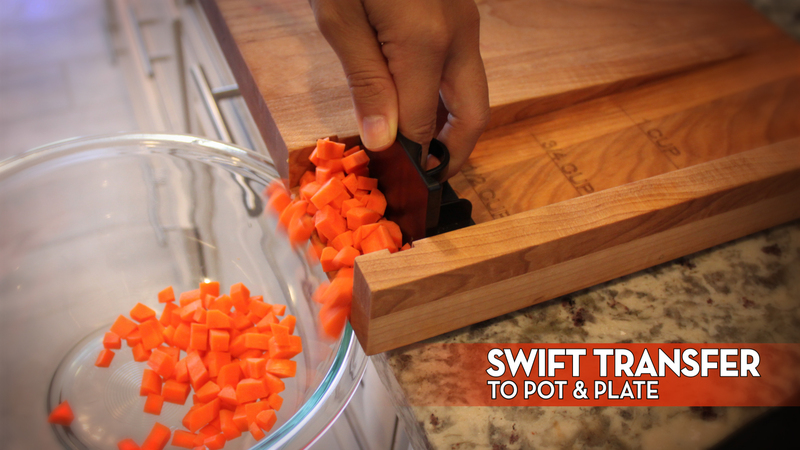 When combined with The Perfect Bite cutting board, you'll be able to prep, measure & transfer your cut food items easily & quickly to a mixing bowl, dish or pan. That's a $155 value, for only $99.95.